Or, get it for 25200 Kobo Super Points! 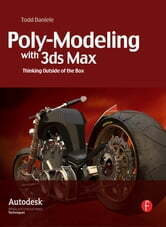 Polymodeling is a modeling technique used in 3d modeling. 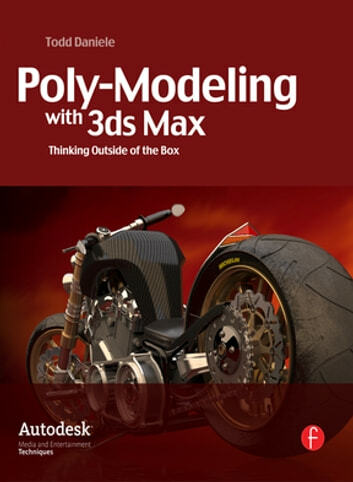 Unlike box modeling, or other forms of modeling where you start out with a basic form or primitive object that determines the mass of an object, artists can use the polygon (the basic building block of all of the primitives available in 3ds Max). This approach allows for more control over the flow, placement and detail of the meshes that are built. Placement of vertices/points, edges and all other sub-elements that build our models is determined by the user, rather than pre-determined by a computer generated primitive. This book is a collection of tips, tricks and techniques on how to create professional models for advertising on T.V and the web. The author has tons of industry experience using Max toward this end, and he shares the secrets of his trade. As Production Modeler for some of today's hottest studios (including GuerillaFx, Coke Zero, MTV, Old Navy, Nike, Target, HP) Todd Daniele brings real-world experience to the book. Daniele teaches the technical aspects of polymodeling, while showing how to ultimately create content in a dynamic, efficient manner. Associated web site offers instructional files that show the models in progressive stages of development; plus a supporting internet forum: readers can log-on to this forum to ask questions or comment on anything covered in the book.